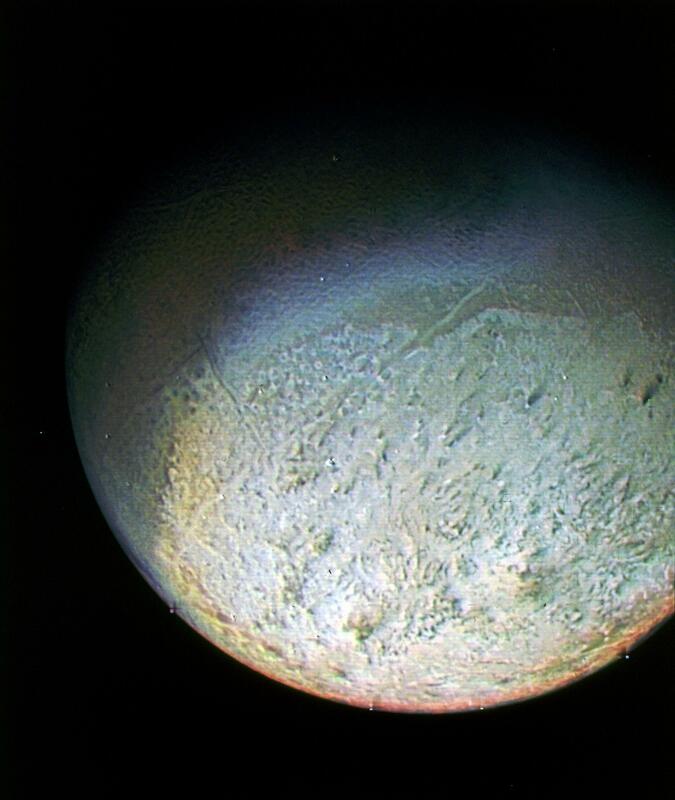 This photo of Neptune’s largest moon Triton was taken by Voyager 2 on August 24, 1989…nearly 21 years ago! With a resolution of about six miles per pixel it reveals the rugged mountainous terrain of this frozen moon in the far reaches of our solar system, including its signature “cantaloupe terrain” seen here in the upper half of the photo. 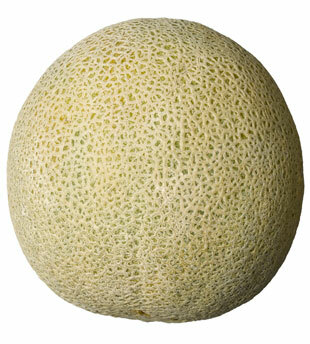 The unique bumpy texture is thought to be the result of wholesale resurfacing of the frozen surface by some widespread geologic process, but it really is uncanny in its resemblance to the familiar fruit! The colors seen in this photo are not “true” color….this is a compostion made from green, violet and ultraviolet channels. The bluish colors would not be seen by the human eye, in reality the moon would appear much more of a dusky pinkish and mottled grey color. Thought to originally be a Kuiper Belt Object (KBO) from the icy outskirts of the solar system, Triton orbits Neptune in a retrograde – that is, backwards – orbit, opposite of the rotation of the planet and the “typical” direction of most moons. Read more about Triton on the Planetary Society’s site here. Want to Buy a Telescope? Read this.